Viserion was one of the three dragons born in the wastelands beyond Lhazar, along with Drogon and Rhaegal, and was named after Daenerys Targaryen’s elder brother, Viserys. In earlier seasons, he can be distinguished by his cream and gold colored scales, and red-orange wings. Contact your local store for availability. House Stark! “Winter is Coming” Game Of Thrones Stark 3D Rotating Emblem Black Glass Mug in stock at Forbidden Planet Hanley. 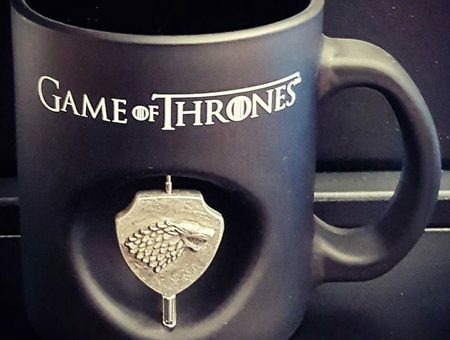 This is a perfect gift for a Game of Thrones fan and is ideal for university students!